requiring advice on how to sell a house owned by my expired mother-in-law. My husband died, my father-in-law died and i have one unmarried son and a married daughter. My husband is the only child for my expired parentinlaws. We are the only legal heirs for owner of property (my expired motherinlaw died before twelve years..should i go to court to get succession certificate as property owner death year is twelve years back or can i get legal heir certificate from tahsildar within two months)..i cannot afford to pay lakhs of rupees to get succession certificate from court..Please suggest me how to sell the property of my motherinlaw soon and the needed xerox to get any other required certificates to sell the property of my expired motherinlaw. Thanks. A. Madam for succession certificate the maximum court fee/stamp duty is Rs 50,000/- apart from official charges, filing charges and lawyers professional fees. There's no bargain on court fees/stamp duty, official charges and filing charges. However, considering your financial situation, lawyers might consider giving you a flexible fee payment structure. Its better you put your request to Vidhikarya and someone from this Vidhikarya will definitely gives you a flexible payment structure. Succession Certificate is a must to establish your legal heir status. Gift deed or Relinquishment deed will come into effect once you and surviving heir can establish the legal right. And this is only possible by getting Succession Certificate. For information, in your experience, please say how many months approximately and practically may the court take to issue the succession certificate if i file a petition next month in september 2018 ? A. Take up the issue through a Professional property lawyer from ther panel of Vighikarya for help and assistance on all aspect of the issue quickly. 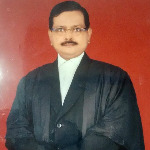 instead of getting court succession certificate, is it economical to get release deeds from my son and married daughter to grant release deeds in favour of my name and then using those release deeds can i transfer the property in my name and then sell the house of my expired mother-in-law, as my husband died before the death of my mother-in-law ? can release deeds and name transfer in my name solve the issue soon instead of succession certificate for our immovable property house of my expired mother-in-law ? Yes,provided the property tranferred in favouur of the buyer. A. Contact your halka lekhpal for succession certificate or file a mutation case before Tehsildar court. ok sir..what are the documents xerox copies required to get the succession certificate from court to sell the property of my expired mother-in-law? Required documents are death certificate and property documents at the time of filing of mutation suit before tehsildar Court. A. Since you are not a blood relative of your mother-om-law you may not be able to get teh title changed by just her death certificate. file a suit in civil court for issuance of succession certificate. ok sir.. after getting succession certificate with all of our legal heir names on it, should i get a power of attorney in my name granted from my son and daughter as grantors of power to their mother (me) and then can i sell the property of my mother-in-law to the buyers by using the general power of attorney granted to me ? A. By advocate Rameshwor dadhe dear sir/mam you should need succession certificate. First apply for it. ok sir..before applying for succession certificate, should i have legal heir certificate of my expired mother-in-law ? A. You are legal heirs of that property. And succession certificate must required for mutation of property on your name You need to file a suit under hindu succession act claiming all the share . Once you become absolute owner then you can sale that property. ok sir.. after getting succession certificate in my name and my children name, is it required to get power of attorney in my name to sell the property of my expired mother-in-law? A. If your husband died after death of mother ,in that case, according to law of inheritance, the property shall devolve upon you ,your son and your daughter. Hence, you should get steps to get the mutation done in the name of all three legal heirs and thereafter the property can be sold by all of you jointly. ok sir.. if my mother-in-law property value is thirty lakhs, then how much rupees will the court charge approximately for issuing succession certificate in my name ? Since you all are class one legal heirs ,hence, no need to get succession certificate .Only you have to take steps for mutation in the name of all legal heirs. Court fee is negligible and vary in each state. For mutation you have to take professional's help. for information, my husband died first before even the dead of his mother (owner of property) and second died his mother and then his father died third.....because my husband died before death of my mother-in-law (owner of property), can i being her daughter-in-law become class 1 legal heir to apply for legal heir certificate online directly to tahsildar office and in online egovernance there is no option for daughter-in-law option in dropdownlist to opt for column "your relationship with the deceased"....so, what to opt online sir ? Please read carefully . After death of your mother in law all right , title and interest devolves upon Your son and daughter , who are only surviving legal heir. Hence ,only they can take steps for mutation of the property and thereafter the property can be sold jointly by them.you are not entitled to take any steps in this regard.